Here's an awesome pick for any player. This antique nickel pick has liquid smooth beveled edges (no string wear) and provides an incredible tonal palette for any stringed instrument. 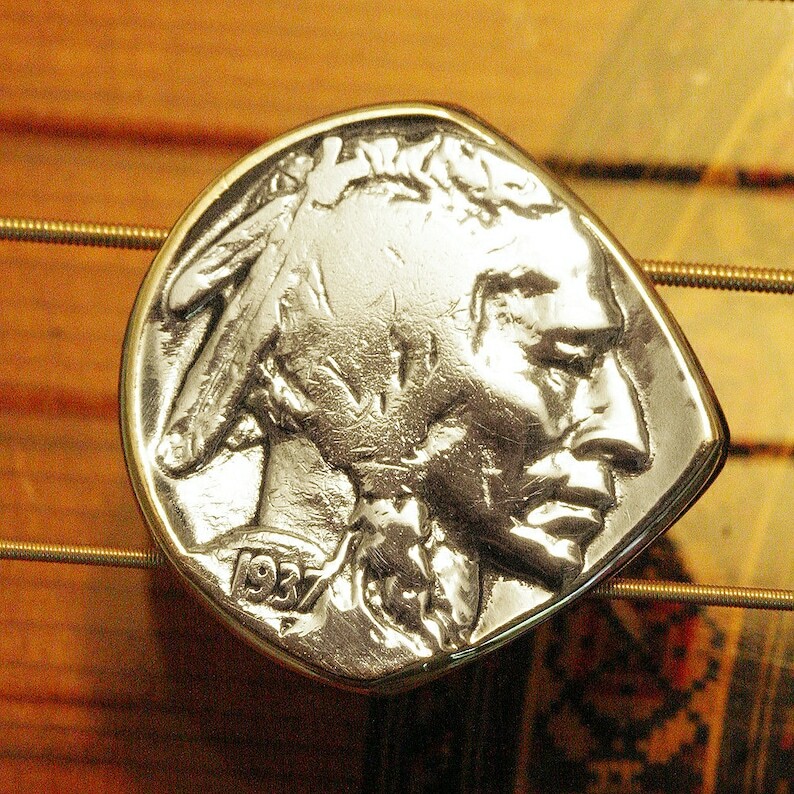 The 'head' of the pick features a traditional Native American and the reverse has a burly American buffalo. These picks are slightly smaller than a standard guitar pick 21mm x 21mm x 1.25mm - about the exact size of a standard Dunlop 'Stubby'. Very nicely done and looks wonderful. Bought as a gift I know they will love.